For sale manual flat bed die cutting machine having 60 inches width. Make - Supercut Mumbai. Year - 2003. Price - Rs. 1 Lacs. We wish to purchase paper cutting machine having 32 to 42 inches size. We are looking for used below machines such as Automatic box strapping machine, pouch making machine, cutting & sealing machine. 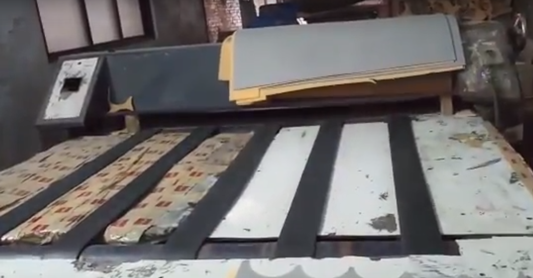 We want to buy good condition used 6 colour paper label printing machine with die cutting. Make - Mark Andy or Chinese machine.